Following an explosive 96-88 first meeting back on January 5th, No. 7 Sprayberry (21-3, 14-1) and Sequoyah (18-6, 11-4) met in the War Lodge for an important Region 6-AAAAAA bout. With temperatures dropping to below freezing, the two offensive-minded clubs set Hickory Flat ablaze with one of the most entertaining games of the season. The Chiefs got off to a quick start, leading 4-0 behind a Myles McGee breakaway slam, but Sprayberry saw DJ Patrick hit his first of the team’s 11 threes to get the Yellow Jackets on the board. Sequoyah and Sprayberry traded baskets at a breakneck pace, but there was some defense sprinkled in as Patrick erased a DJ King layup attempt. Justin Day ignited an 11-2 run with an offensive rebound and put-back which helped the Jackets push their lead to 27-19. At the end of one, Sprayberry held a 27-21 lead as Patrick scored nine of his 14 points in the opening frame to pace the Yellow Jackets. 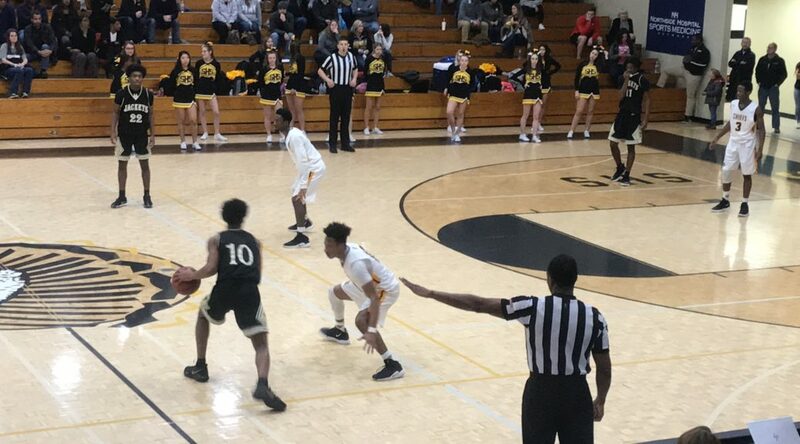 The Chiefs kept close as the trio of McGee, Donovan Shipp and Jacksen Greco attacked the basket, Greco floating in a shot in traffic to cut the Sprayberry lead to 42-36 with 2:28 left in the second. But while Sequoyah slashed into the lane, Sprayberry bombed from deep with Shamar Joseph coming off the bench to nail three three-pointers in a row, building the Jacket advantage to 48-38. Sprayberry sank seven trifectas in the first half, but McGee buried a buzzer beater to send the Chiefs into the break down 50-41. 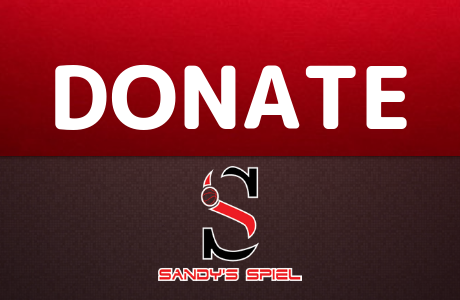 Sequoyah came out and trimmed the deficit to 52-46 but, but Sprayberry answered with a 9-2 run to extend the lead back to 61-48 at the 6:05 mark of the third quarter. 6-foot-5 sophomore Jaylin Galloway, younger brother of former Buford/Milton post Kyrin Galloway (UNCG), started to make his presence felt around the rim, balancing Sprayberry’s perimeter orientated offense by scoring eight points in the paint. Galloway’s bucket with 2:50 left gave Sprayberry a 69-56 lead before Sequoyah turned the tables. The Chiefs ripped off an 8-0 run in a span of 1:36 to close the gap to 69-64 as Shipp and McGee carried the offense, scoring 10 and 9 points, respectively, while King brought his trademark high energy and athleticism on defense. Sprayberry regained momentum after a defensive break down led to Joseph’s fourth three of the night as the Yellow Jackets took a 75-66 lead into the fourth. The Yellow Jackets saw Matt Jenkins score six points in the quarter to help Sprayberry build an 85-73 lead with 4:14 remaining as the Jackets were on the verge of running Sequoyah out of the gym but over the final 254 seconds, the Chiefs’ aggressive press finally cracked Sprayberry. A wild 14-2 run saw Sequoyah tie the game at 87 at the 1:18 mark after McGee cashed in on an And-1 but missed his free throw and saw Greco swoop in for the offensive rebound and game-tying put-back. Sequoyah came away with a steal from McGee but he and King botched point-blank layup attempts with only one Sprayberry defender in initial position. The Chiefs missed another bunny up close but retained possession after a loose ball scramble with the arrow pointing in favor of the home team with 19.1 seconds remaining. Shipp sliced to the basket with under 10 seconds to play and was denied by Galloway who collected the block and pitched ahead to Day who airmailed an outlet pass to a wide-open Jenkins, the ball sailing out of bounds as the Chiefs breathed a sigh of relief with 2.1 seconds left in regulation. Jackets had a fast break but ball thrown out of bounds with 2.1 seconds. Jackets get a steal but can’t get a shot up. 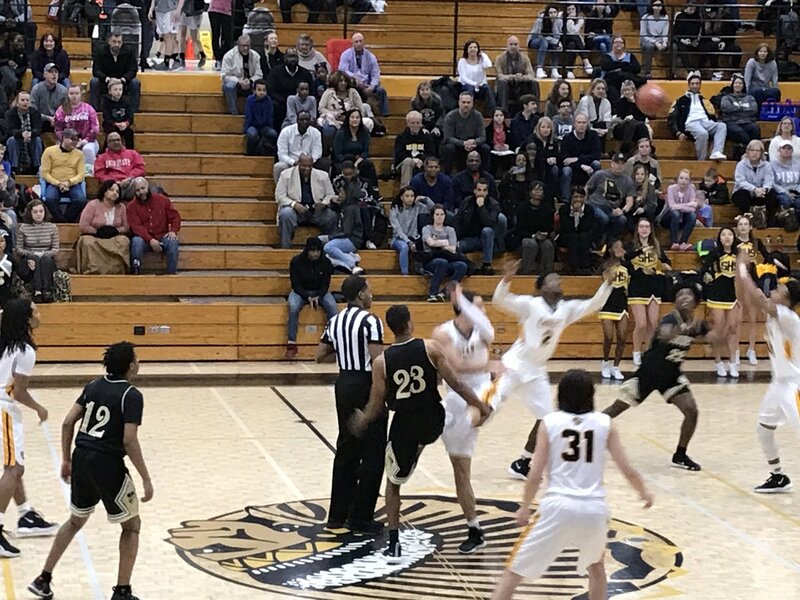 The Chiefs’ ensuing inbounds was stolen away but a tumbling Yellow Jacket couldn’t establish his footing and his falling down unbalanced heave at the buzzer fell well short from just 15 feet away, sending the game to overtime tied at 87. Galloway’s interior presence loomed large in overtime as he scored seven of his team-high 27 points in the quarter to go along with his 10 rebounds, 2 assists, 3 steals and 2 blocks on the night. With 1:08 left to play, McGee slashed to the basket for an And-1 and knotted the game up at 99, but again, missed the free throw as the Chiefs failed to take the lead. McGee got momentary redemption, hitting a tough shot in the lane for his 29th point of the night to tie the game at 101, but the Chiefs failed to get back in transition after the made bucket as the Yellow Jackets tossed ahead to Day for a layup to make it 103-101 with 14.1 seconds remaining. This @_mylesmcgee_ shot ties it, but Jackets take lead on a Justin Day layup. Just no defense at all tonight. The Chiefs had a final possession to tie the game and got the ball down low to McGee on a cutting post up, but as he pivoted toward the middle of the lane he was met with traffic and fumbled the ball away allowing Sprayberry to collect it and clear the ball out of harm’s way and tick off the final 3 seconds to secure the number one seed in Region 6-AAAAAA as No. 6 South Cobb fell to Allatoona 69-63. It was a wildly entertaining game to watch. Both teams put on a good show offensively but lack state championship caliber defense. Sprayberry seems to have a higher ceiling than Sequoyah with their envious offensive depth as six players scored 12 points or more, five of them knocking down at least one three. When they are hot, Sprayberry can do damage from deep but it was the emergence of 6-foot-5 sophomore Jaylin Galloway who really carried the Yellow Jackets in the second half scoring 17 of his game-high 27 in the final three periods. He has nice length and a calm touch around the rim in traffic. He and 6-foot-5 senior DJ Patrick killed Sequoyah on the glass combining for 21 rebounds, dominating their matchup with 6-foot-4 Ayden Watson who grabbed just two rebounds for the Chiefs. Shamar Joseph provided instant offense off the bench with four threes while Saigon Kitt and Justin Day chose their spots when to attack the defense. Senior Matt Jenkins was the engine for Sprayberry finishing with 20 points and 11 assists. Sprayberry has the guard play to play extremely fast but defensively, they have a lot of work to do if they want to make a deep run at state. Donovan Shipp and the Chiefs sliced up Sprayberry’s on-ball defense, getting into the paint at an alarming rate. In fact, it was the most aggressive I’ve seen Shipp play in three years, attacking the basket at will finishing with a game-high 30 points and 6 assists. Shipp has grown tremendously over his first three seasons and should be a D-II target for schools looking for a heady assist-man that can score when he needs to. Myles McGee had 29 points, 4 rebounds and 3 steals, but his night ended on a sour note with his 2-of-9 free throw shooting and turnover to end the game. Even with his shortcomings tonight, his gladiator mentality on the floor paired with the football toughness of gridiron teammate DJ King makes the athletic duo the most important pieces to Sequoyah’s full court press. King netted just 6 points but had 5 rebounds, 6 steals and 2 blocks, making his biggest impact defensively. Jacksen Greco had a strong 25-point outing, nailing 3 threes and collecting 6 rebounds and 4 assists in the process. His passing has improved year to year as he is developing into a well-rounded player breaking the mold of just a three-point specialist. Ayden Watson disappointed tonight against Sprayberry’s frontline. Watson has been integral to the Chiefs’ success this year providing size, energy and athleticism in the paint but he was a non-factor with 3 points, 2 rebounds, 1 assist, 3 steals and 1 block. While Sprayberry struggled defending drives, Sequoyah’s bugaboo was poor rotations leading to too many wide-open three-point shooters. Both teams showed their strengths and weaknesses and in a classification void of a true favorite, both teams could see an Elite Eight berth as a real possibility depending on how the brackets and region tournaments play out.